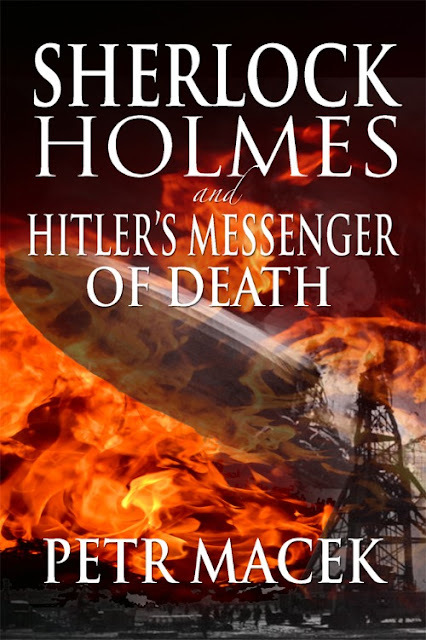 Holmes is pulled from retirement to face off with the greatest of all evils -- Hitler! From the cover art, it appears this book also involves the famous explosion of the Hindenburg. Spring 1937. While German Chancellor Adolf Hitler ceaselessly talks of peace, his actions seem deliberately calculated to make the Western allies lose patience. The schizophrenic geopolitical atmosphere even can be felt as far away as Fulworth, England, the home of the retired Sherlock Holmes, where the Steiners, a German migrant couple, have recently found a refuge and have assumed care of the detective's household after the passing of Mrs Hudson.